ENOH TANJONG has brought new insights into campus relationships while challenging the unspoken temptation that the tribal gaze was a distinctly University of Buea phenomenon. 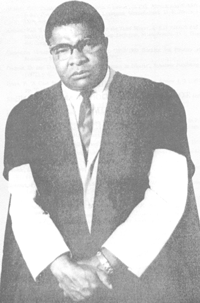 His national and trans-tribal outlook and commitment has no parallel in the Cameroon University system. It is scholars like Professor Tanjong who have de-mythologized the atavistic, clannish gorgon, on campus. L’ecrivain est mort : Alas, Poor Fredinand (Son Excellence Leopold Oyono)! The list of African writers who opposed colonialism and stood for independence and freedom is long. Unfortunately, the list of those who ended up compromising and making deals is a long one too… But Mongo Beti,… was never one of them. Where will the New Deal intellectual/ Writer Stand at the Trumpet of Reckoning? Brahmins of our higher institutions of learning have not provided the elixir that would redeem our inchoate democracy from its prolonged, socio- economic death sleep, and, political quagmire. This refusal to turn history into a useful dialogue has given rise to the perverted culture of glorification of a parasitic, comprador bourgeois ruling class, as well as, the encrustation of a pleasing propaganda image of the Establishment. The Bernard Fonlon Revolution: If Gold Should Rust, What will Iron Do? WILLIAM FULBRIGHT has argued that literary agitation, like practical political instigation, which edges on dissent or rebellion is “an act of faith”. 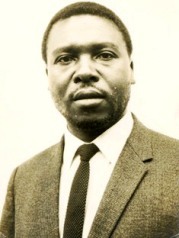 Accordingly, and, as I have already shown elsewhere, although Professor Bernard Nsokika Fonlon (a man who was so exceptionally handsome), was, an intellectual pillar of fire; a Prometheus among his peers; indeed, something of a twentieth century Aristotle, the Greek philosopher and classical biologist, his neo-classical treatise on literary composition have, neither, received accolades nor endorsement from me. I would like to make a preliminary remark before going to the matter at hand. I refer to statements in the local press by the President of the South West Chiefs Conference, His Majesty Nfaw Lawyer Tabetando, during the Philemon Yang-Dion Ngute caravan of opportunism and collaboration. I do not know to what extent these have been reported accurately. But I do know that his interview over Cameroon Calling last September, exuded, with the sort of toady enthusiasm that tends to imperil and suffocate debate and thus generate cynicism and apathy. I have the honor most respectful to nominate Dr Jacobs Bate Besong a citizen of Cameroon and lecturer in the Arts Faculty of The University of Buea, Cameroon for a fall fellowship in your program. 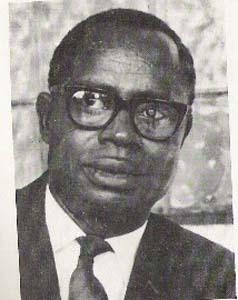 I am an international lawyer currently lead counsel in the trial of senior military officers accused of genocide, crimes against humanity, article three common to the Geneva conventions and additional protocols two and other international violations in the territory of Rwanda and neighboring countries.I am also lead counsel at the Special Court for Sierra Leone defending senior officers of the Revolutionary United Front of Sierra leone. I have practised law for twenty three years and specialise in international humanitarian law and international human rights law. 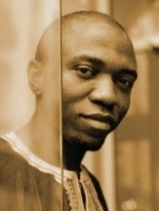 Cameroonian-born US-based writer says, only writers like Bate Besong, Bole Butake whose books he said reflected the opinions of Cameroonians were worth reading. Patrice Nganang, a literary scholar who teaches in the USA and publisher of seven books has said critical writing would fill the gap left by opposition parties that have joined the ruling party, CPDM. 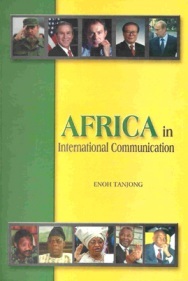 Speaking at the presentation of his books at Alliance Franco Cameroonaise, Bamenda on 11 March, Patrice Nganang said Cameroonian writers should emulate Bate Besong, and Bole Butake in critical writing, adding that it was the only way the opinions of Cameroonian abandoned by greedy parties like UNDP, UPC could be expressed. Signs of vacuity and morbidity appeared on the horizons. Implosions here and there. The country was witnessing social oppression, economic chaos and the forces of neo-colonialism. The nation had become balkanised along lines of the very rich and raggedly poor. Cameroonians were struggling to exist in difficult situations and thus the beliefs they held were attempts to make sense of their situation and guide their everyday actions. The CPDM, then, was the veritable government-as-leviathan. It avoided difficult choices and hard decisions.